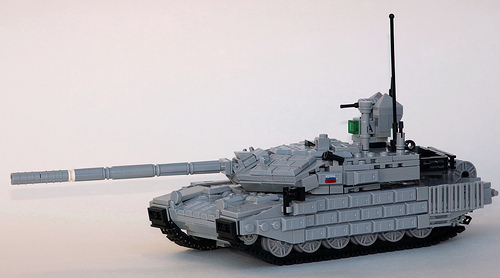 Nick G‘s model of the Russian T-90MS main battle tank looks armed and ready to blow the LEGO battlefield to bits. 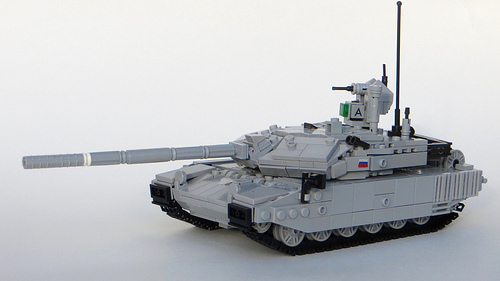 All the subtle shapes and lines in Nick’s replica are true to the real tank; a challenge to accomplish at his chosen scale. On top of that, the builder mentions it features a working suspension system. I’m more impressed with his variant of the same build with added ERA (Explosive Reactive Armor). Smart use of gold ingots in light gray to show the separation of ERA panels.